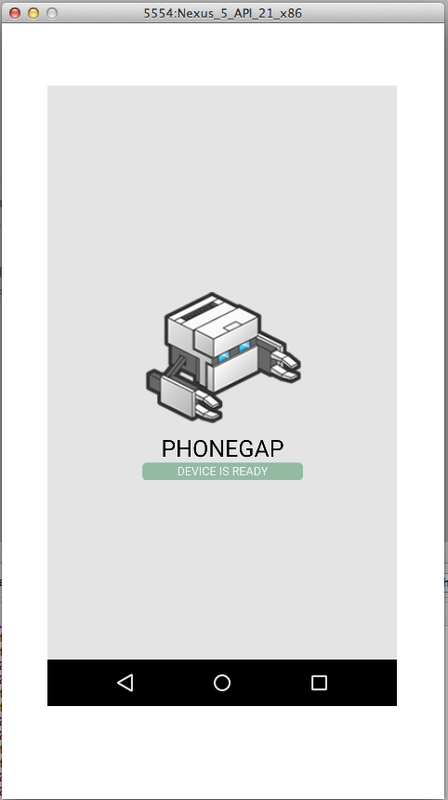 Below I explain how to get set up and run a “Hello World” Android application using Android Studio and PhoneGap. Download and install Node.js. Following installation, you should be able to invoke node and npm on your command line. If desired, you may optionally use a tool such as nvm or nave to manage your Node.js installation. Download and install a git client, if you don’t already have one. Following installation, you should be able to invoke git on your command line. Even though you won’t be using git manually, the CLI does use it behind-the-scenes to download some assets when creating a new project. Install the cordova module using npm utility of Node.js. The cordova module will automatically be downloaded by the npm utility. You should find com.flyingsoftgames.xapkreader in /myapp/plugins. com.sample.expansion with your company name/app info (for this example, we use com.companyname.myapp). YOUR_GOOGLE_PLAY_LICENSE_KEY with your Base64 number from the previous section. We need to zip all our media files that won’t fit in the APK file. They should be stored, not compressed. We don’t need to download any special files for this zip utility; it’s already included in the OS. 1. Move all of the expansion file assets into a folder called /myapp/main_expansion. (The main_expansion folder name will be part of the command in step 2.) If you have folders called /videos, /media, or /wallpaper, just drag the folders over to it. 2. Starting in /myapp in the Terminal, run the following. -v = give verbose output. -dc = display running file count. -r = Go through all the folders of main_expansion. -x = do not include the following files (in this case, remove the .DS_Store files that are annoyingly generated by the Mac OS). -Z store = just store the information in the archive, don’t compress it. This indicates that /main_expansion is in a stored state with no compression within /myapp/main_expansion.zip. The Terminal should show a numbered listing of all the contents with their sizes and stored status of 0% compression for each. 1. Sign in to your Developer Console at https://play.google.com/apps/publish/, and – IMPORTANT! – click on the Alpha Testing tab. 2. Click on “Upload your first APK to Alpha” and select the APK file for uploading. 3. After it’s uploaded, you’ll find a dropdown for the expansion file; select to upload the expansion file. The directory listing will appear for you to select the main_expansion.zip file. 5. Go to Services & APIs. The Base64 License Key is shown. Keep that page open for the next steps. 6. Donate to the coder for this plugin. I did. We don’t really thank them enough, do we? Michael Romanovsky wrote a plugin, xAPKreader (Expansion File APK Reader), that saves us a lot of time and aggravation that comes of following the expansion file steps on the Android Developer site. My www/folder2/file.html has the same contents as www/index.html, but it linked back to ../index.html instead of file.html. Notes about linking to the expansion file contents. The zip file does not reside in www/. You make all links from all www folders and subfolders as though the expansion file was in the same folder. Example: in expansion file we have /folder/wallpaper2.jpg. If the link to the same file is in /www/folderA/fileA.html, we link to the file the same way. If the link to the same file is in /www/folderA/subfolderB/fileB.html, we would link to the file the same way. The file URL is based on the file structure in the expansion file, not on the www/ structure. Go ahead and rename main_expansion.zip the same way. In the case of my Nexus 7, I plugged it into my PC and a window opened up with an option to show the folders. There was already an /Internal storage/Android/obb folder present. I right-clicked on that folder and selected New Folder, then renamed the folder com.companyname.myapp. At one point, the window would not open to show the folders, and it turned out to be a poor cord in use. Switching back to the original cord worked. If that does not work for you, go into your Settings app and turn off USB Debugging. 5. Install the .obb file from step 3 in the device’s /obb/com.companyname.myapp/ folder you just made. 7. Rename the .obb file back to the way it was for upload to Google Play, main_expansion.zip. Google Play allows us to test a live download of the APK + expansion files to your device from Google Play while not making it available to the public. Here’s how. 1. You need to set up a private group of testers (or just yourself) with a Google Group account at https://groups.google.com/. 3. Privatize it. Still in Google Groups, for the Basic permissions section, “View topics” and “Post,” select “Owners of the group.” For Join the group, select “Only invited users.” Click on create to finish. I received an automated welcome message in my gmail account. 4. Back on your computer, create a release version of your app as you did earlier. 5. On to the Developer Console at https://play.google.com/apps/publish/. Open the Alpha tab, click on the upload button, and drag in your new APK. 6. After that, you should see the expansion file listed. (If not, try again.) You may click on it to upload a replacement expansion file if needed. Below that is an option to upload a patch file. Below that is a text box for you to state what’s new in this version. Click on the Save button at bottom. If you get the error message at top, “An unexpected error occurred. Please try again later. (0),” then click Cancel, sign out, then sign in again. It should then work. Click the Save button. 8. Enter the Google Group email, myapp-alpha-testing@googlegroups.com, then Add. The group name will be acknowledged underneath. Click Close. 7. You must publish the Alpha app before it can be sent to testers. Make sure all required fields for the app are filled in and saved, including images. Since this was only a practice app, I used dummy text and images from an earlier app. Click on Ready to publish > Publish this app. 8. Let’s do Alpha Testing. Click on Developer Console to get to your list of apps and click on myapp > APK. 10. You’ll see the link to send to your testers, https://play.google.com/apps/testing/com.companyname.myapp. Highlight it and copy it. 11. Create a “New Topic” in your Google Group, paste in the above URL, and Post. 12. Back in the welcome gmail email, I clicked on “Visit This Group” and signed in. I tapped on the link to enter, then on to a page welcoming me to “Become A Tester.” I accepted. 13. At the bottom appeared a link to download myapp from the Play Store. I was greeted with, “Item not found. Retry.” It just needed more time to work through the Play system. Clicking on it later, the Play Store page for myApp appeared. I clicked on the Install button, then Open — and received the message, “Unfortunately, HelloCordova has stopped.” Ouch. I hate it when that happens. 1. When Google Play downloads your expansion files to a device, it saves them to the device’s shared storage location. To ensure proper behavior, you must not delete, move, or rename the expansion files. In the event that your application must perform the download from Google Play itself, you must save the files to the exact same location within the expansion file. 2. One of the great benefits of using expansion files on Google Play is the ability to update your application without re-downloading all of the original assets. Because Google Play allows you to provide two expansion files with each APK, you can use the second file as a “patch” that provides updates and new assets. Doing so avoids the need to re-download the main expansion file which could be large and expensive for users. As long as you don’t change the main expansion file that’s associated with the APK in the Developer Console, users who previously installed your application will not download the main expansion file. Existing users receive only the updated APK and the new patch expansion file (retaining the previous main expansion file). 3. APK expansion files (e.g., audio files), as of 10/10/2014, cannot be run in conjunction with the Cordova Media plugin when using the xAPKreader plugin. Please see https://github.com/agamemnus/cordova-plugin-xapkreader/blob/gh-pages/media_plugin_workaround.txt for more details. 4. If you uninstall the xAPKreader plugin, the process will not undo your hand-made entries in the .xml files.